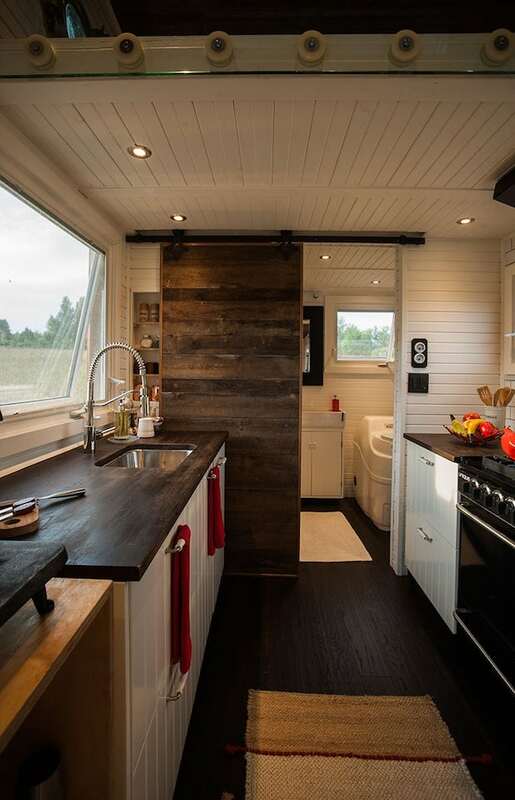 This home is sized at 340 square feet and you’ll love every inch of it! Inside is an efficiently designed floor plan with a pretty straightforward layout for ease of navigation. The wide windows allow for picturesque views of wherever you would end up in your adventures. They also allow for a healthy helping of natural light which floods the home. There’s a loft area that houses the bed to maximize the limited living space. 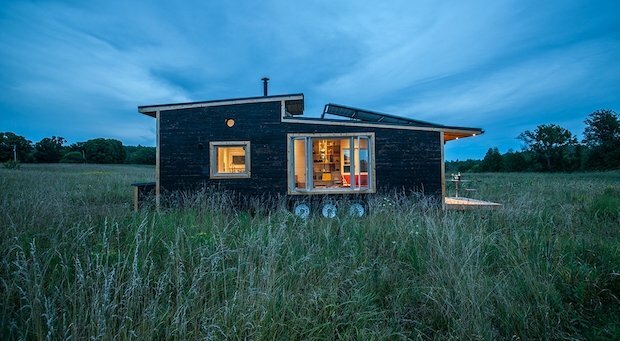 The home is made for off-the-grid living, so it’s got everything you’ll need. The main feature of this tiny home is its retractable porch which also acts like an actual drawbridge for both style and security. 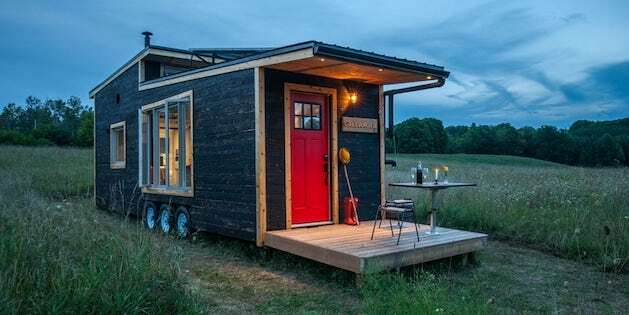 The Canadian company Greenmoxie which built this design is offering these homes at a starting price of $65,000. 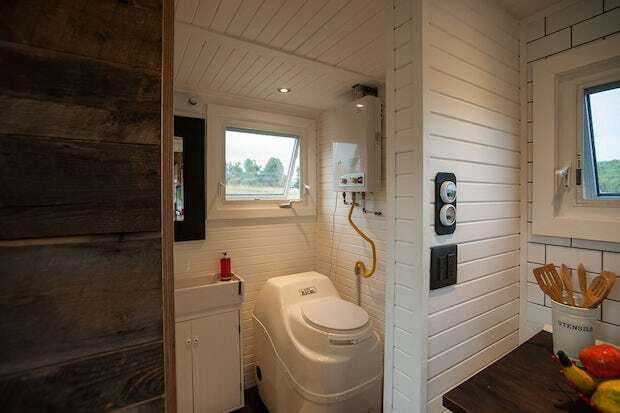 A sliding barn door leads to the bathroom. The bathroom features a decent sized shower, a toilet, a sink with a vanity and mirror, and shelving for linens. A staircase leads up to a fairly spacious bedroom with a tiny circular window on the wall and a narrow one behind the bed. It fits a queen-sized bed and has enough space for a dresser or some draws to put some clothes in.